The novel is framed by the literary device of an extended flashback. The prologue, which is neither named as such nor numbered, opens with an unnamed male narrator spending a winter in Starkfield while in the area on business. He spots a limping, quiet man around the village, who is somehow compelling in his demeanor and carriage. 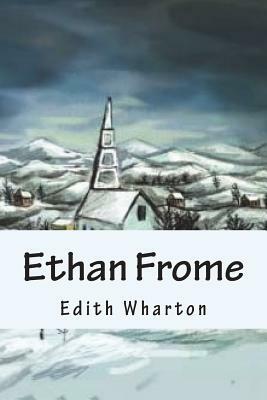 This is Ethan Frome, who is a local fixture of the community, having been a lifelong resident. Frome is described as "the most striking figure in Starkfield," "the ruin of a man" with a "careless powerful look...in spite of a lameness checking each step like the jerk of a chain." Curious, the narrator sets out to learn about him. He learns that Frome's limp arose from having been injured in a "smash-up" twenty-four years before, but further details are not forthcoming, and the narrator fails to learn much more from Frome's fellow townspeople other than that Ethan's attempt at higher education decades before was thwarted by the sudden illness of his father following an injury, forcing his return to the farm to assist his parents, never to leave again. Because people seem not to wish to speak other than in vague and general terms about Frome's past, the narrator's curiosity grows, but he learns little more.